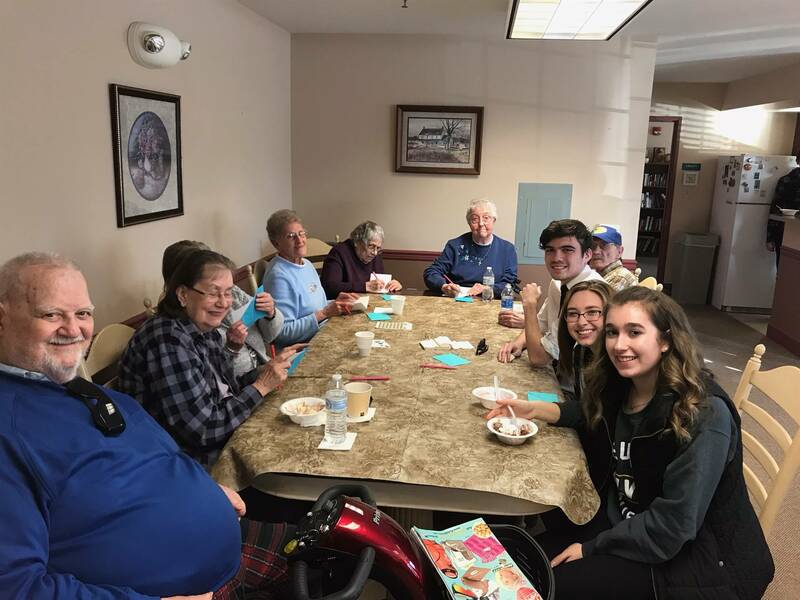 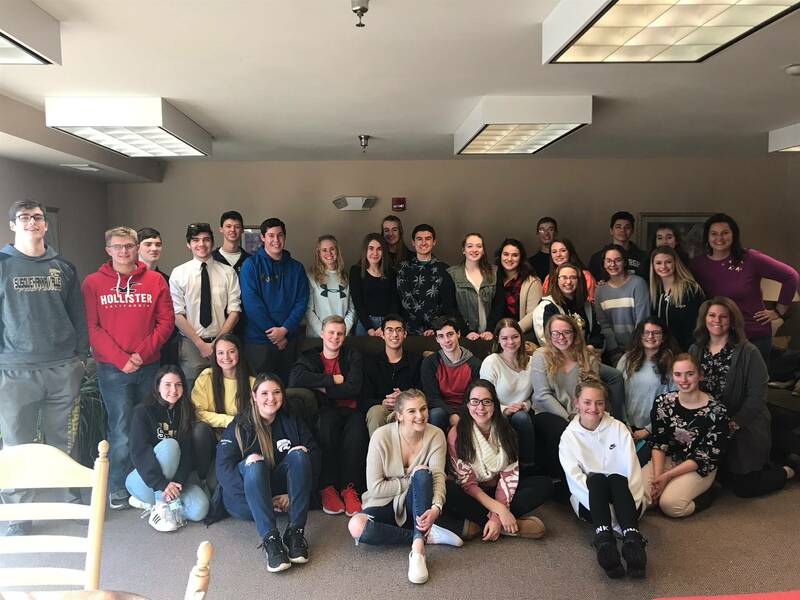 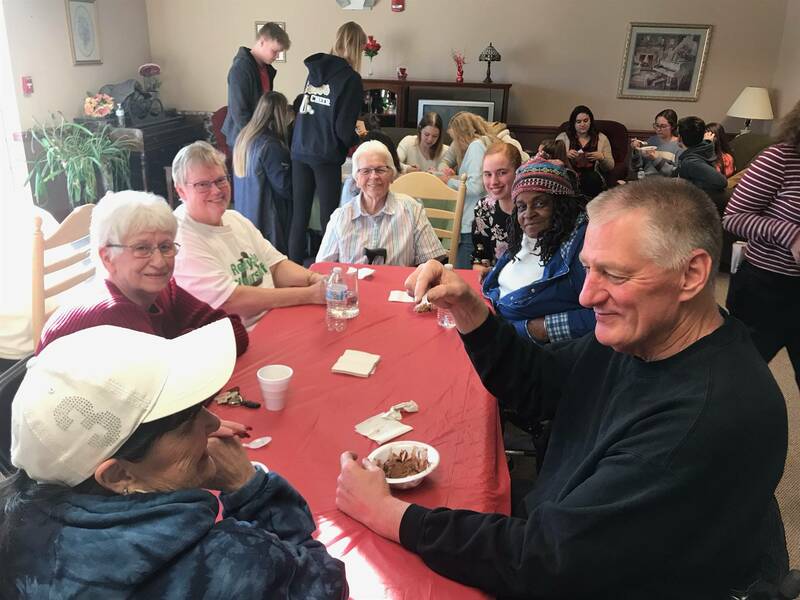 Members of the SV High School chapter of the National Honor Society paid a visit to the Conklin Senior Housing Complex January 14, and they were bearing ice cream! 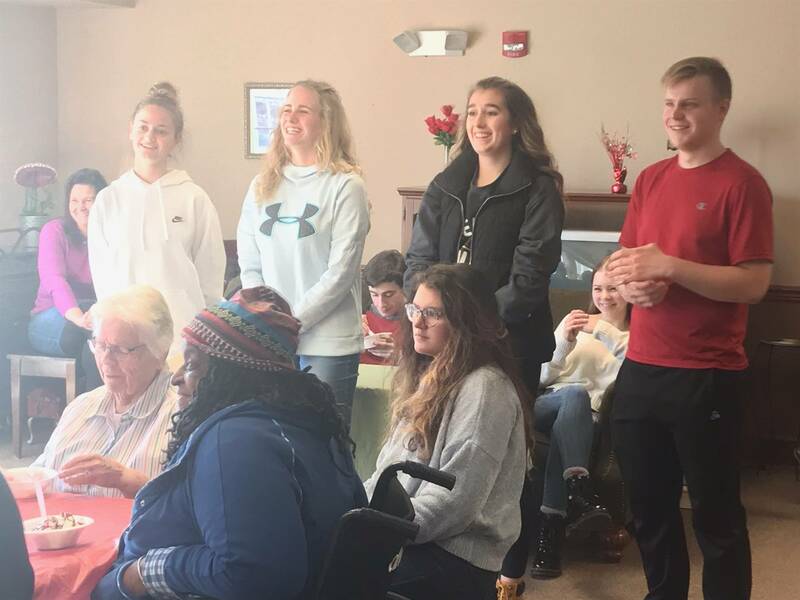 NHS provided ice cream and toppings and the NHS students mingled and enjoyed sundaes with the residents. 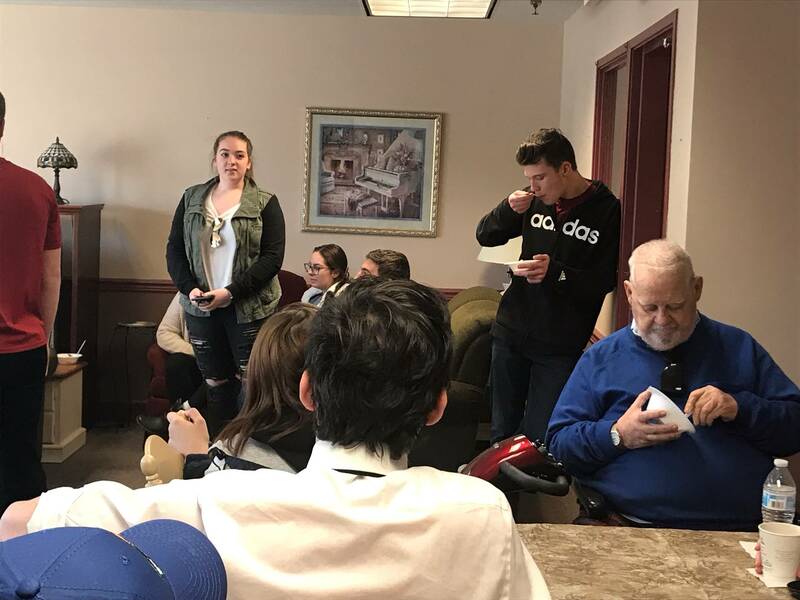 The students went around the room and introduced themselves and gave a little bit of information about their future plans. 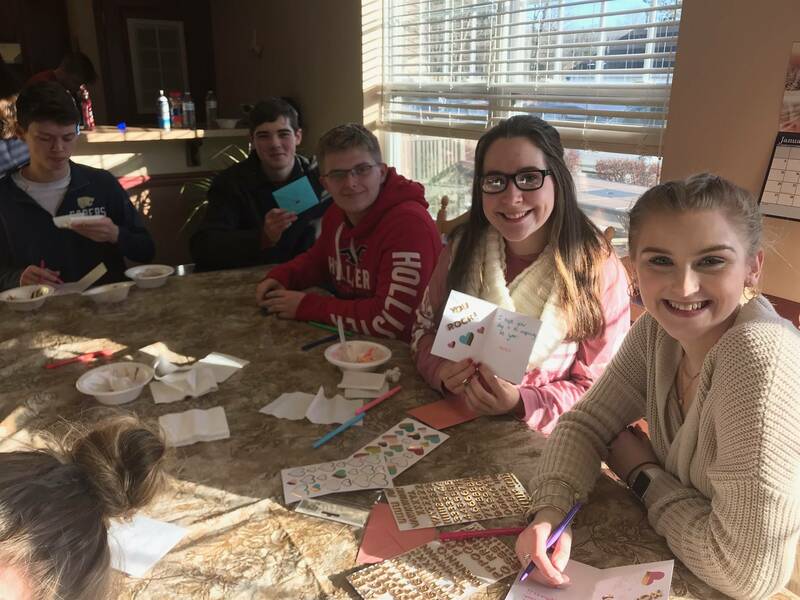 The students and the residents continued a service project that we started at holiday time of making cards for kids and young adults that are hospitalized with serious illness. The cards included messages of hope and encouragement. 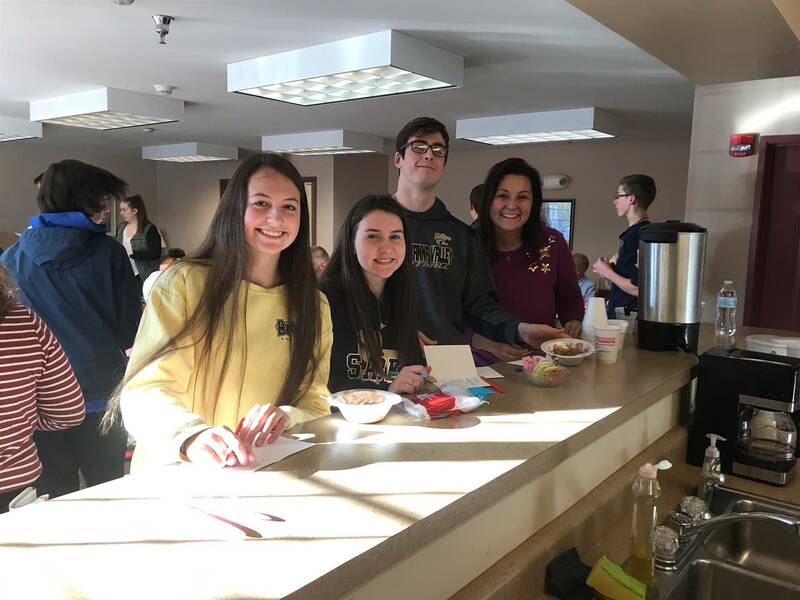 The students were accompanied by chapter advisors Jody Butts and Laura Retzlaff.